Put “Growing Up With G.I. Joe’s” under the Christmas Tree for Someone Special! Someone whose favorite store was G.I. 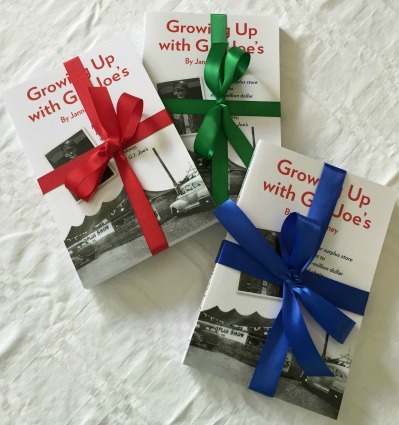 Joe’s would love to receive a copy of the book for Christmas! A reader can read the book through or focus on chapters of interest, plus enjoy all the historical photos – over 80 of them. Growing Up With G.I. Joe’s is available at http://www.Amazon.com in paperback and as a Kindle e-book. Probably the easiest way to search the book is to search my name (Orkney, Janna) as author.